If you are a fan of Sim City or Farmville, this game is going to fit nicely in your proverbial “wheelhouse.” Pure and simple, this game is a city builder. Planting crops that feed your livestock (Sheep, Chicken, Bees, Cows, Pigs) is the start of the process. The by-product of your livestock being fed results in usable products (ie. Eggs, Milk, Honeycombs, Wool, etc). These items are requested by orders from your citizens or used with other ingredients to make manufactured goods. 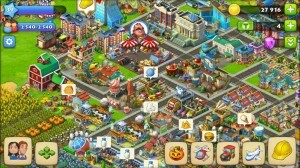 As you increase the city population, new types of factories and community buildings will unlock. These new factories are specialized in certain areas (ie. Bakery, Jam Factory, Plastics, Sugar Production, etc). Lots of tasks, community challenges and citizen orders will keep you busy, pre-occupied and tuned in to the game. FAST TRACK : If you want to progress in the game at a faster rate, don’t make the mistakes I’ve made. Take your initial Township Bucks and invest in expanding your Feed Mills and Livestock Bins. Max out the capacity of those first, this will give you wiggle room in future sessions towards mass producing larqe quantites of milk, eggs, etc. As your population increases, the number of Field Plots will rise. More field plots means more crops, which means more production goods to barter for coins or complete tasks for experience. Other areas in the more advanced stages include : Mine Shaft that allows you to dig downard hundreds of levels and unearth different types of ore for production of bars (ie. Gold, Bronze, Silver, etc). These bars are then used to improve the levels of your factories or increase the chances of finding treasure when you sail to the faraway islands. The Museum is where your artifacts are stored. In the mineshaft and while sailing to islands, you have opportunities to uncover ancient artifacts. Bars increase the chances of this happening. If you find the 4-6 artifacts in each collection, you are then awarded Township Bucks. Graphically, this game is very smooth and pleasing to the eye. Nothing is annoying or hard to see. 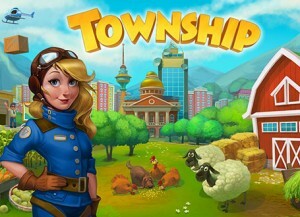 Hopefully, you will have read a few articles about Township before you dive right in like me. Had I used my Township Bucks more wisely from the beginning of the game, I would be much farther in level and gameplay than I am currently. 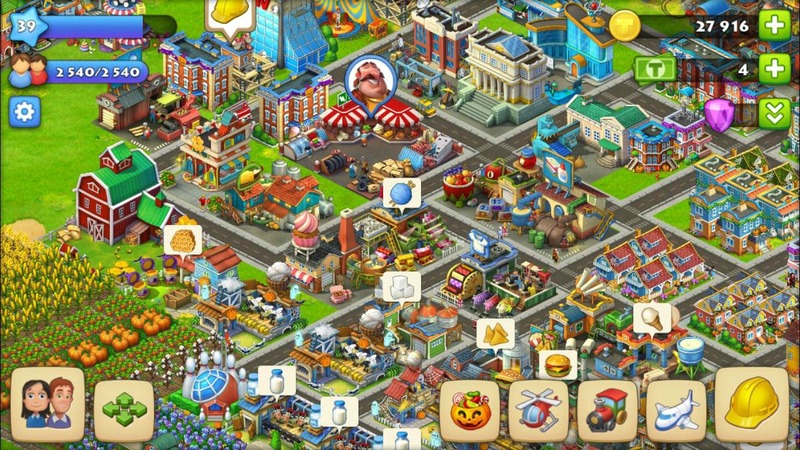 This game has provided weeks of free entertainment and is a definite download for those interested in city builders. Game Cheat Hub is a massive springboard website, designed to help you find answers to levels you get stuck playing. Do you find yourself enjoying a new mobile app, only to realize you are completely stuck and have exhausted all of your knowledge to try and solve the level? Game Cheat Hub is here to help you in a fix. Classic apps like Angry Birds, Cut The Rope, Words With Friends, What's The Word, Factory96, Emoji Pop and more are here. Simply click on the game of your choice and watch the videos for clues on how to advance levels.